About 20 years ago, two of the "talking heads" (both American Academics) in the PBS television series The Great War and the Shaping of the 20th Century made the point that the United States military "only fought one battle" in the First World War. The intent was clearly to downplay, and in my opinion, to disparage the effort and sacrifices of Americans in the war. This is a list I developed in response to those assertions. One point to be aware of: the standard American division of the time was about 28,000 men, which was two to two and a half times larger than those of the other combatants. Sometimes this number was reduced about 20 percent if the divisions fought under French or British command and they provided the artillery support. Generally, though, the commitment of an American division to a battle was the equivalent of a French or British corps. The four U.S. segregated regiments fought separately under different French Divisions. However, if their effort in the fall 1918 fighting in the Champagne was aggregated it would be the equivalent of a major battle fought by a full division. 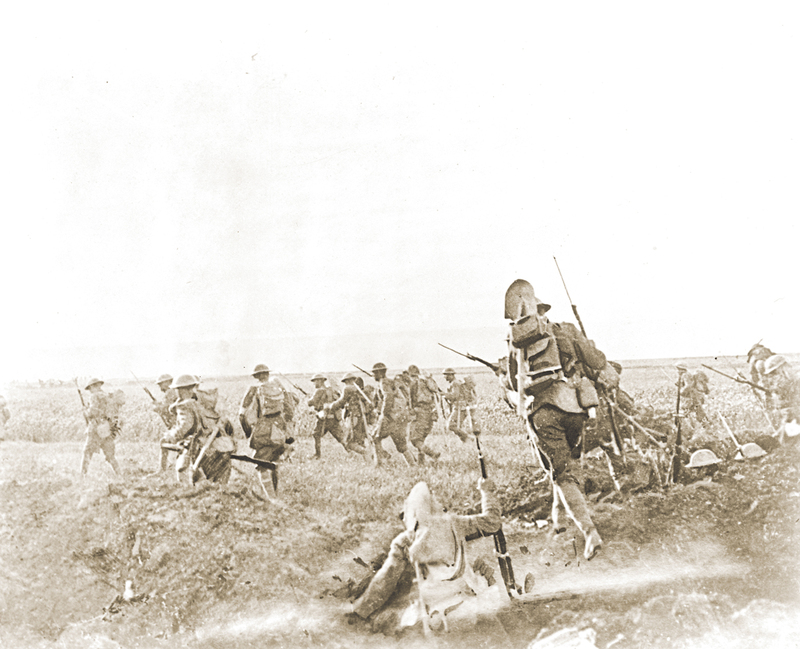 The next major offensive of the American Expeditionary Force was halted due to the Armistice. 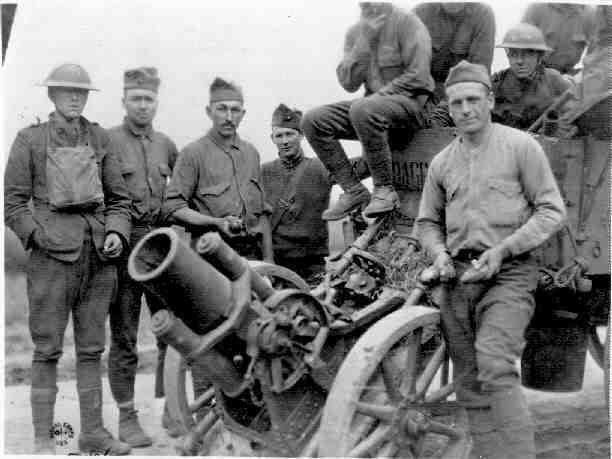 The pundits of academia rarely credited the AEF with contributing to the defeat of the Germans. The German Spring Offensive exhausted British and French manpower resources on the Western Front. 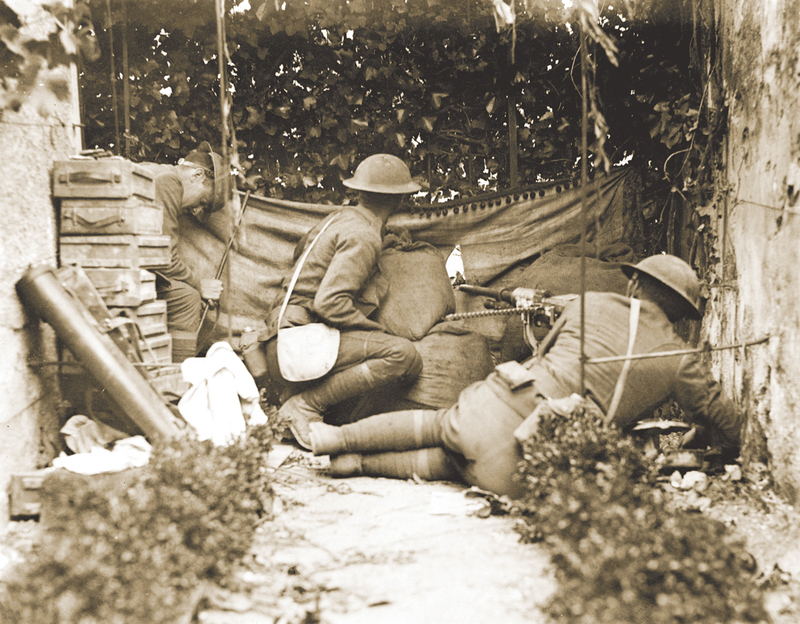 Troops fighting in Italy were recalled, as were others in other theaters. 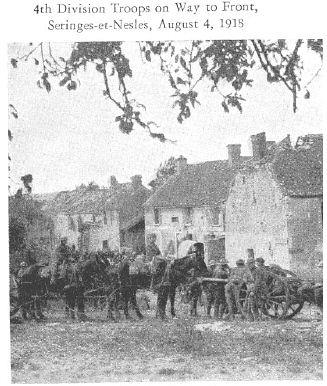 The American divisions were the only available troops in theater to halt the offensive drive to the Marne. As pointed out, an American division was twice the size of divisions of all combatants. Twenty-eight thousand fresh troops proved decisive in halting the German offensive drives, exhausted their manpower reserves and allowed the Allies to take the offensive. REF your #8:The II Corps was composed of the 27th & 30th Divs during the Battle of the Hindenburg Line & the Selle Campaign. They were part of the Australia-American Corps under Gen Rawlinson's British 4th Army. 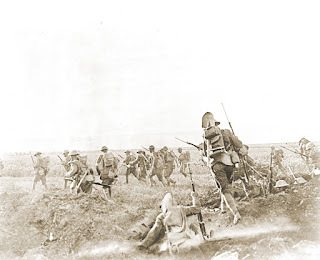 Prior to this both Divs participated in the Ypes-Lys offensive on 18 Aug to 1 Sept. The 27th was part of the British XIX Corps and the 30th under the Brit. II Corps. I would think this would be another battle as it was intense as the 1 Div fight at the Somme in late May. Although true that the authorized strength of US Divs was greater than Brit/Commenwealth Divs, many of the US Divs lost their Arty Brigade and differed on assigned support-MG battalion, engineers, signal, etc.- based on needs, front and tactics. A better comparison might be Brigade strength as this was how most units were committed. Brit, Brigade was 3000 to 5000 in Sept 1918. I just finished re-reading Pershing's "My Experiences in the World War", Vol, I & II. He commented how, even as late as mid-Oct., Clemenceau was belittling the AEF for its disorganized rear and lack of progress. Pershing saw it for what it was- an attempt to "..minimize America's prestige at the peace conference"
Haig and Lloyd George wanted the American units to serve under British officers, one wanting to bolster the worn out Brits, and the other to likewise minimize US prestige. The U.S. Army awarded battle clasps for the Victory Medal for 13 "major engagements." The first one included only U.S. engineers in the Battle of Cambrai. 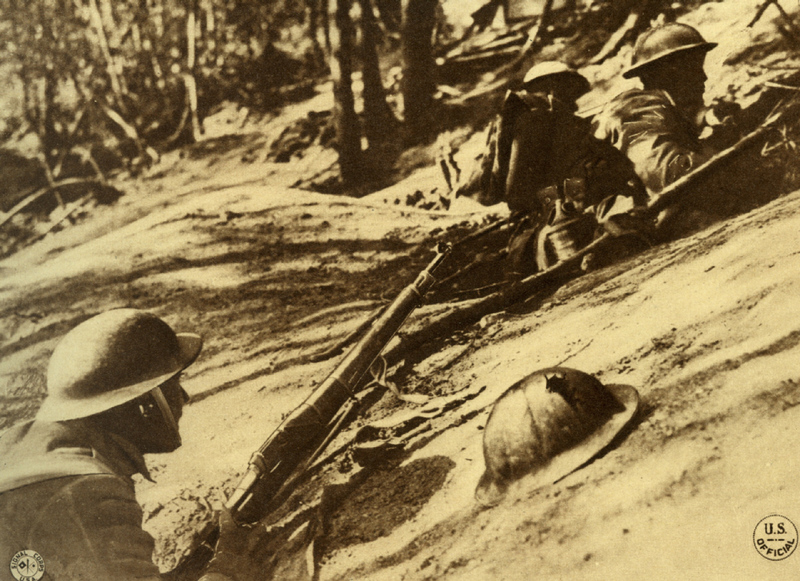 The next 4 chronologically were in defense of the German's March Offensive of 1918. Again, Only US engineers and support personnel were included in the German's Operations Michael and Georgette Operations. But, the 2nd Division was involved in the German's Bluecher-Yorck Operation, and the 1st Division was involved in the German's Gneisenau Operation. The others were Champagne-Marne Def, Aisne-Marne Off, Somme Off. Oise-Aisne Off, Ypres-Lys Off, St Mihiel Off, Meuse-Argonne Off. Not until the St. Mihiel Off did the US forces fight as the US Army in its own sector,. At that time, the Allies had agreed that France's Marshall Foch would serve as the Supreme Commander of Allied forces on the Western Front. Before that, US troops, regardless of the size or composition of the units, fought as part of an Allied force under either British or French command (although US officers commanded the individual US units). The 13th battle clasp was for the Vittorio-Veneto Offensive in Italy. Two other engagements are often overlooked: the Siberian Security Operation in Vladivostok and the North Russian Expeditionary Force at Arkhangelsk. They were composed of troops that initially had been sent to the Western Front. Great post, great comments. What may have been battles over prestige and honor 100 years ago (who got the credit for finishing the war) seem to have had the tragic effect of minimalizing the sacrifice of the American men who died in battle. 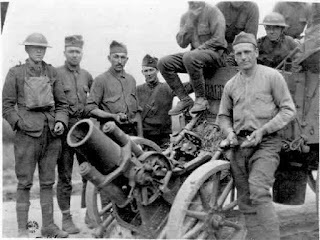 Their lives -- and the American involvement in WWI -- seem to have been forgotten not only by the Allies, but by Americans.